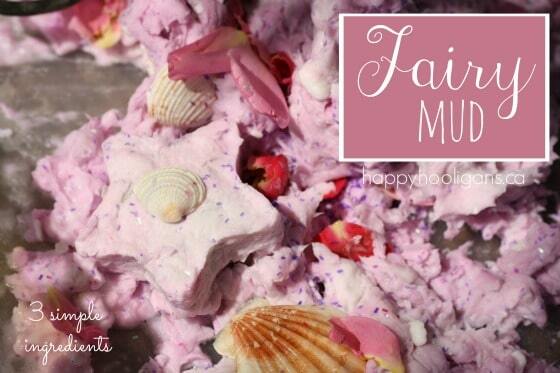 Whip up a batch of “fairy mud” with a roll of toilet paper, a bar of soap, and some seashells, flower petals and glitter. 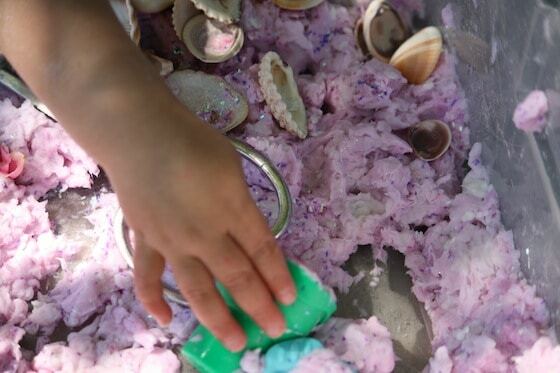 It’s a fantastic sensory activity for toddlers and preschoolers! 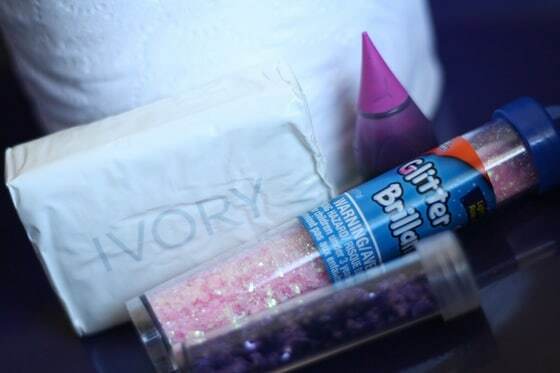 We’ve done lots of fairy activities lately, and today, we’re busting out the glitter! Yes. I actually said the G-word. You’re probably thinking I’ve lost it because it’s a well-known fact that I’m a self-proclaimed glitter-phobe. Well, it’s like this. On Thursdays this year, I have only girls here in my daycare, and because they’re all simply mad about fairies and princesses, I decided to make last Thursday “Fairy-Princess Day”. 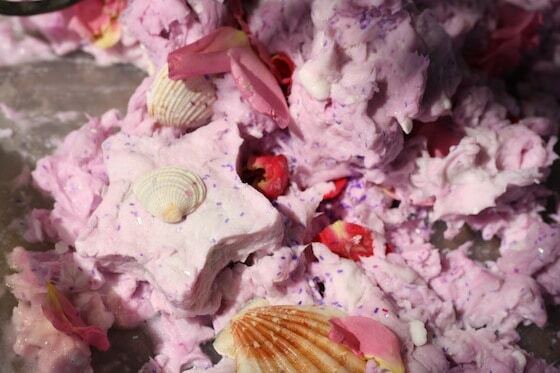 One of the activities I had planned was to transform a batch of traditional ghost mud into “fairy mud”. I didn’t think that could be done with out a bit of the sparkly stuff. And you know what? It was AWESOME! 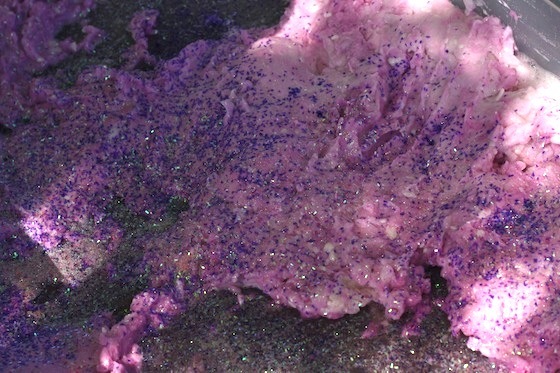 Ok, so it helped that we were outside (I never could have been so brave inside), and the glitter was contained in the mud, (maybe I’ll get over my issues with loose glitter one day), but it really was awesome, and added the perfect sparkly touch to this awesome sensory activity. To make our fairy mud, I simply tweaked our ghost mud (or clean mud) recipe, a pure white sensory dough which yields a slightly smaller amount. 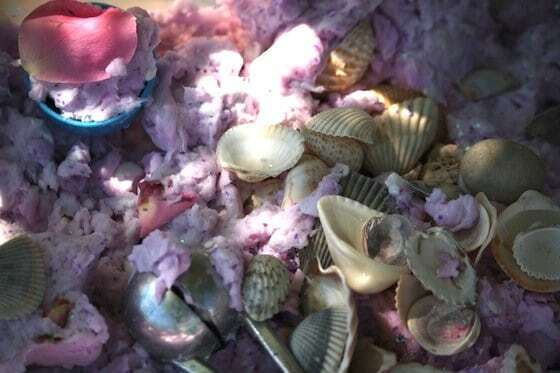 For embellishments, we added rose petals from the garden, and a handful of sea shells . We started by taking all the toilet paper off the rolls. This was an activity in itself. 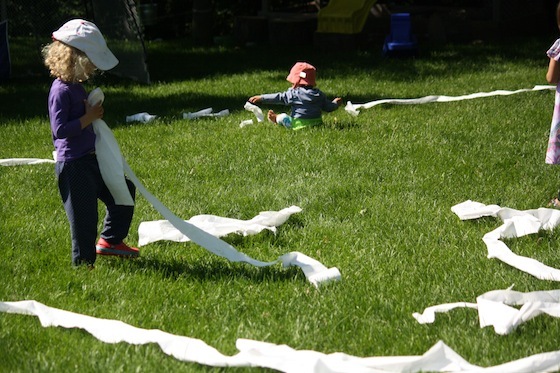 The hooligans had fun running around tossing the rolls into the air, and pulling the paper off the cardboard tubes. When their mission was complete, we gathered up all the t.p., and put it in a shallow plastic storage container. Then we grated our soap and transfered it into a plastic container. 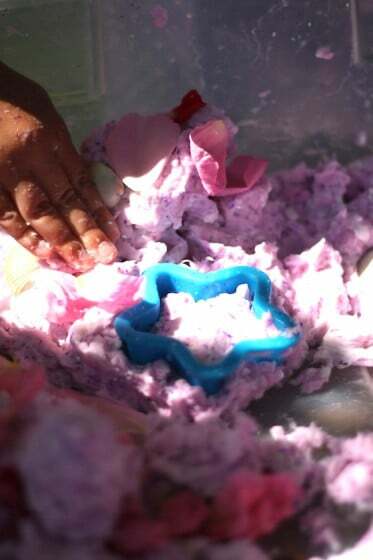 We added the warm coloured water into the soap shavings and the hooligans mashed and mushed the shavings until the mixture was fairly smooth. It smelled so good. Then we poured the coloured soapy water mixture over the toilet paper, and the girls squeezed and squished it all together, until the t.p. had turned into a pulpy, moldable dough. 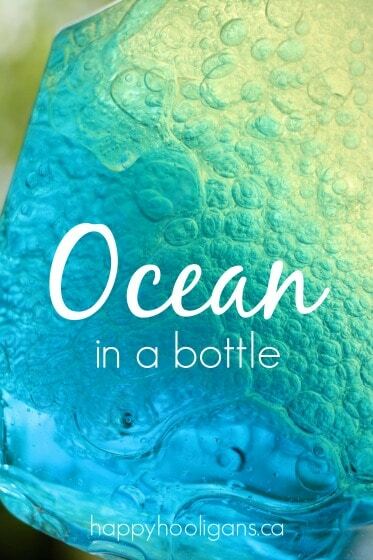 *I started out with 1.5 cups of water, but I had to add a little more (a wee bit at a time) to get our mixture to a consistency that I was happy with. The amount of water you’ll require will depend on the amount of t.p. on your rolls. And when we were happy with the consistency of our mixture, we dumped in the GLITTER! And THAT, my friends, is how you make FAIRY MUD! Now add a little bling: some flower petals, seashells, or whatever else you have on hand – sequins, plastic jewels, glass beads etc., and get playing! 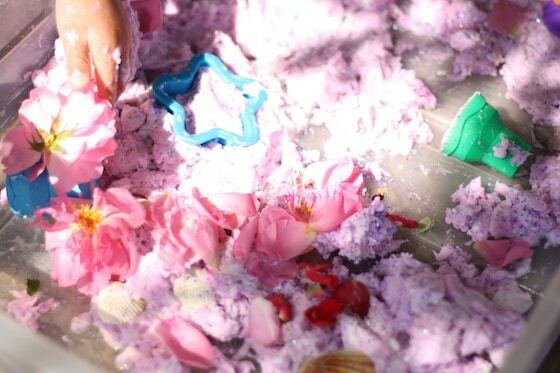 The girls created cookies, ice cream cones and cupcakes, and had a great time just mucking around in their beautiful mess! Keep a bowl of water and a towel handy for those who like to clean their hands frequently while playing with messy materials. For more fairy fun, check out our fairy soup and pop over to The Imagination Tree to see how they’ve been playing with fairy dust! Oh yeah. There was nooooo way we were doing that inside, Becky! 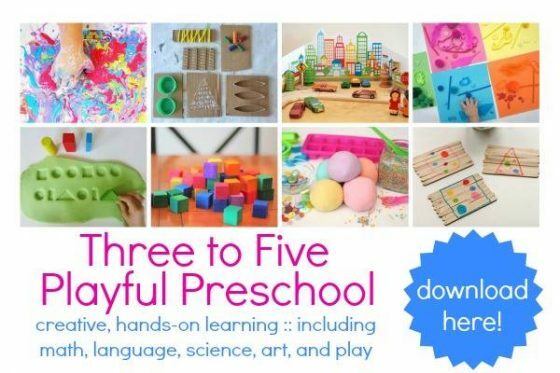 Your posts make me wish I was back at Nursery school (3 – 6 year olds here in South Africa) It’s Winter here now but it’s still warm out in the sunshine can’t wait to try this with my two and four year old later this week. Thanks for sharing. Aw, thanks, Shannon! Have fun with your Fairy Mud! LOVE this!! Thank you as always for sharing your wonderfully creative ideas! Man, I wish my toddler and I could hang out with your hooligans! Thanks so much, Debra! I’m glad you’re loving our stuff! I so wish I could have everyone over for a big play-date! Oh my goodness, I want to dig my hands right into this! It’s fabulous! Thanks, Ann! It really was neat stuff! Oh my gosh, I love your fairy mud! I’ve seen tons of recipes for sensory activities online but I’ve never seen this one using soap and toilet paper. This will definitely be going on my list of things to do with my kids! Does it have to be made with Ivory soap or will any soap do? I can’t say for sure because I’ve never used anything but Ivory, but I can’t see why it wouldn’t work with another brand, Liz. Maybe just make sure it’s a white soap so it doesn’t interfere with the colour of your “mud”. So glad you found us! I hope you’ll follow along with us on Facebook and Pinterest too! You can click on the buttons at the top of my sidebar on my blog. I’m glad you enjoyed this post so much! We have loads of activities that your son might enjoy! It looks awesome!! How long will this last? If I make it with a small group of children one day, can I save it and use it in the sensory table for the whole group the next? I figure adding more water to the mixture might make it moldable again. Also, did you store it or throw it away? Hi, Shannon. Yes, we played with it for a couple of days. I don’t know how long you can store it for. I tried storing a batch of the un-coloured “clean mud” once, and when I checked on it a few weeks later it had gone moldy. It should be good for a few days though if you just keep it in a sealed container. When we finished with it we used the star shaped cookie cutters to make moulds, and we dried them in the sun for a few days. I’m not quite sure what we’ll use those for, but I don’t have to worry about it quite yet because it poured rain on them (they were still sitting outside in my “sunny spot”), so now they’re soaking wet again. Haha! Because it’s just soap and t.p., you could just add them to your compost bin when you’re finished with your mud. This is absolutely incredible! So much fun! I love how the kids are so involved in every step. I have been bouncing around your blog and now I wish I was a little kid at your day care. Can’t wait to try a bunch of your wonderful ideas. I’m so glad you popped over for a visit! I absolutely love what your blog is all about too! I’m looking forward to following along with you! my kids are going to love this, my boy will especially enjoy throwing loo roll everywhere. what do have against glitter? me and my girl loooovvvve glitter. Sparkles. mmmmm…..my hubby less so, tho! lol. I’m ok with messes that can be cleaned up relatively easily – hosed off, wiped off, scrubbed off etc. But glitter – it lingers forever! 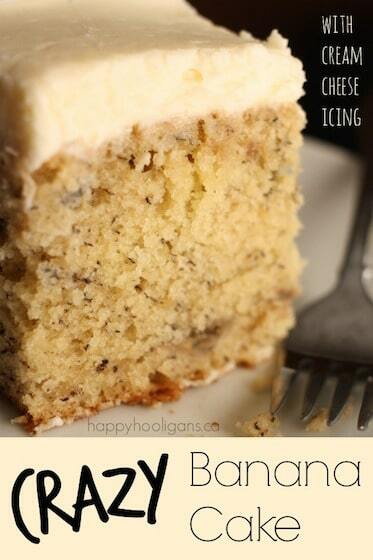 I love this idea, and I’ve already pinned it to try soon. 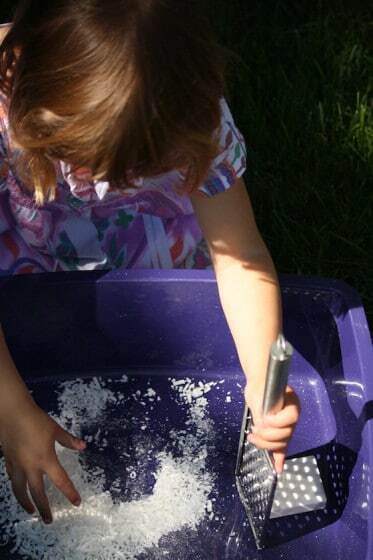 Outside messy fun AND glitter — sounds awesome to me! 🙂 Thanks so much for sharing at Stress-Free Sunday! 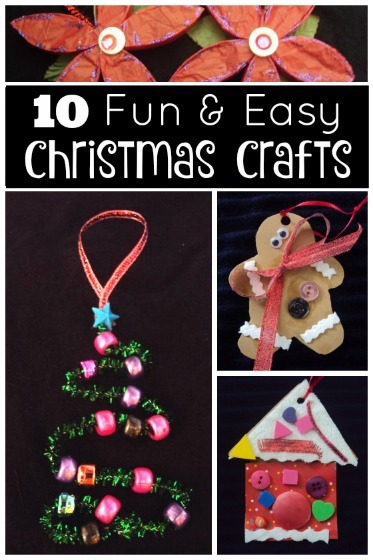 What an awesome way to use household materials. Toilet paper! Who knew!? oh my, love this. even though i have all boys i can see us trying this. it just might be blue with dump trucks;-) featuring you today on the kids co-op. thanks for linking up! 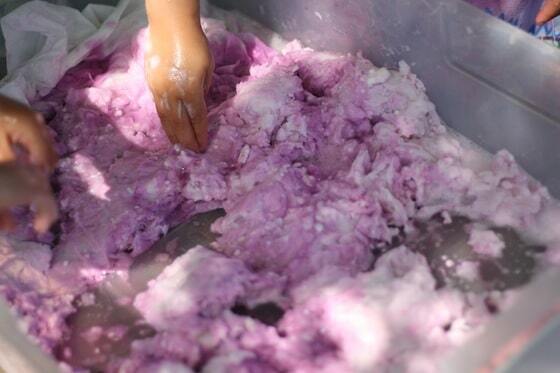 This reminds me of making handmade paper. My son would have loved to help unroll the paper. Would the soap in the eyes be an issue? My 4 and nearly 2 year old would love to play with this! Well, I guess if they put their soapy hands in their eyes it would be, Bryony. We’ve never had it happen here, but if you think your 2 year old is likely to touch her eyes while playing with it, I’d hold off until she’s a little older. Thank you so much for this idea! Did it with my two boys aged 3 and 1 and they loved it. They had a great time standing in the mud and making patty cakes. Why do you need to add the soap? 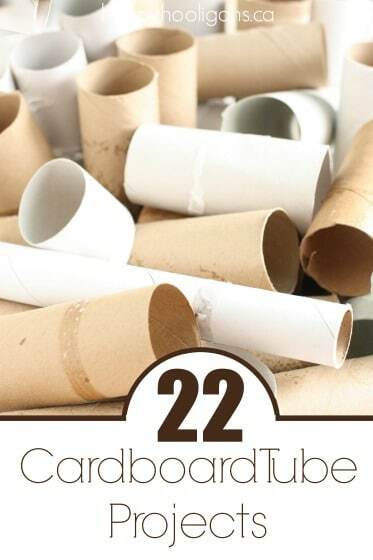 Because otherwise you’d just be playing with wet toilet paper? We don’t have Ivory soap in Australia. Is there something special in it? I thought I could check our labels and find a similar one here. It’s the high air content that makes it so unique, Vicki, and that’s why it expands so much. I don’t think there’s any other brand that is whipped with air the way Ivory is. If you can find a soap that floats, it might work. Ivory is so light and airy that it floats. How long will this keep before it spoils? Ours moulded fairly quickly last year, Janine – within a few days. I w as looking for something to do with my almost four year old granddaughter, who is visiting us this week! She will love this! I love this idea. I’m an SI occupational therapist and am always look for new ideas. I’ve used quite a few of your things in therapy and with my kids. I just wanted to know how long the fairy mud lasts for? Is it just for the day or could I keep it for the week? Not long, Rosie. The flower petals really discolour everything after several hours. If you left those out, you could probably get a couple of days out of it, but it will eventually either dry out or if it’s kept air tight it will go mouldy. I wonder how it would do if I froze it after initial play (made without petals) and then thawed it a few weeks later for an encore. I might have a go as a worthwhile experiment. If nothing else we have a fun time with it and I throw out a weird aoppy mess in a few weeks. My concern is the eyes n drying effect by the soap..
We’ve never had a problem with either, Kent. Ivory is a very mild soap, and it’s never left our hands feeling dry, even after playing in the mud for an hour. I suppose if someone were to rub their eyes with soapy hands it could be a problem, but we’ve never had it happen. You could keep a basin of clean water and a towel nearby if you felt someone might need rinse off before touching their eyes while playing. Wonderful, Bryony! 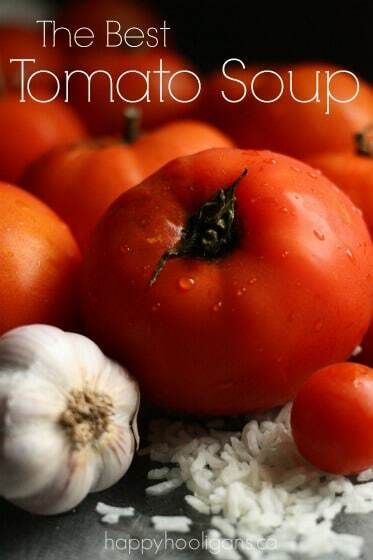 I like the idea of adding coconut oil! We did this today with Dove sensitive fragrance-free soap. Worked perfectly! Thanks for the idea! What type of toilet paper did you use? I have a feeling if you use the wrong type it won’t turn out quite as well. Any kind should work, Rosemary. I never take note of the brand that I use, and we’ve made it lots of times over the year. I’m sure I probably use a different brand every time because I only ever buy what’s on sale, so it varies from week to week here. This is one of my 3-year-old’s favorite activites! We have made it many times with many different colors. There’s ALWAYS glitter involved. 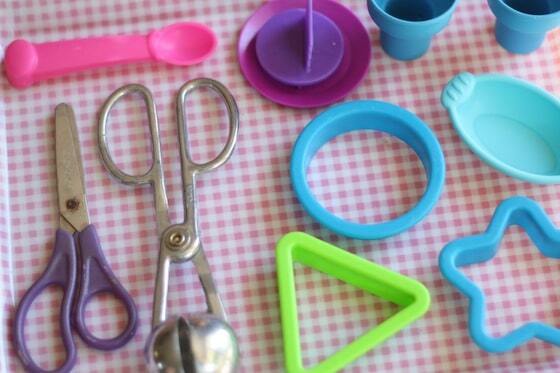 My daughter is very much in a princess phase though so she calls it “princess play-doh.” 🙂 Thank you for sharing this fun post, I’m going to feature it on my own blog very soon! Glad to hear it’s a hit at your house, too, Crystal! Oh we do lots of glittery, feathery, flowery crafts and baby doll activities when the boys are here, just as we do lots of muddy, dinosaur, cars and trucks activities with the girls. None of our activities are exclusive, nor do I pitch them to be “for girls” or “for boys”. On the day of this activity, I simply stated that because I had only girls with me, I provided them with an activity that I knew they would particularly enjoy. We’ve repeated this activity many times with both boys and girls here. Oh gosh, we glitter-phobes do make things difficult, don’t we, Marja? I’m so sorry she took her glitter-intolerance to such an extreme! We also call it clean mud. We play with it inside and the glitter just makes everything shine. It’s really fun to add a hand held egg beaters with it too. Does it have to be Ivory Soap or would any white block bar soap be ok…live in UK so Ivory soap os imported so expensive? ? Any white, mild soap will be fine for the Fairy Mud, Bridgette. It’s just the expanding Ivory Soap experiment (microwave) that you can only use Ivory for. Other soaps can scorch and burn. HI, just found and explored your website I have girls 5 and 8 who loves arts and crafts. I am going to surprise them today after school with some activities. It is raining here in New Zealand so we will need to play inside but I dont mind a mess that can be cleaned up, and they are pretty good at being tidy. 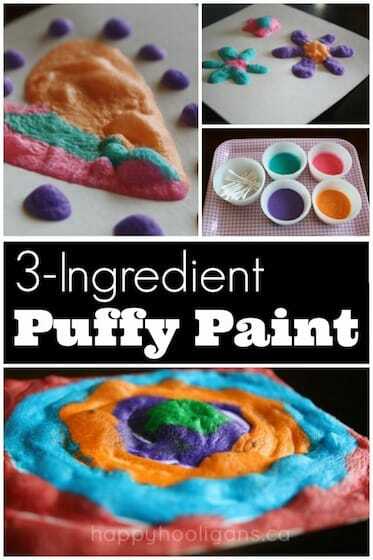 I am thinking puffy paint, cloud dough (reminds me of the new kinetic sand you get) and fairy mud sounbds yuck but looks a lot of fun. Cant wait. I love a mom who doesn’t mind a bit of mess! Will these harden? Or will it just pliable? I am thinking if it hardens can do cookie cutter cut outs and poke a hole and string to hang in bedroom. They stay rather soft because of the toilet paper being soft and fluffy. If you’re on your personal page, you can click the little down-arrow to the top right of any post that you like, and it will give you an option to SAVE the post. Then, later, you can access these saved posts in your left hand sidebar on your fb home page. If you’re on pinterest, you can pin any posts you like to a pinboard you’ve created for just this reason. Hope that helps! What a fabulous idea, Melissa! We’ll make it!